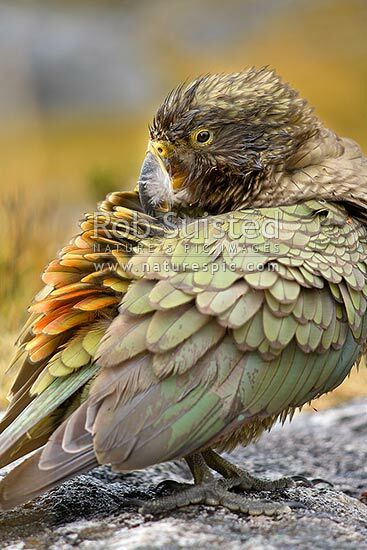 Young Kea bird (Nestor notabilis) preening feathers and plumage with beak. Alpine parrot. Yellow face markings indicate young age, Fiordland National Park, Southland District, Southland Region, New Zealand (NZ), stock photo.